Lumbago, sciatica, hernia, lower back pain... Often considered the scourge of the age, back pain can interfere with your quality of life if left untreated. Mostly mechanical in nature, back pain has numerous causes and can worsen over time. A sedentary lifestyle, stress, excess weight, bad posture at work and at home, standing or sitting all day in front of a computer are some of our bad habits that contribute to back pain. Prompt treatment is thus necessary to prevent the pain from getting worse. EVERY YEAR IN THE UNITED STATES BECAUSE work days are lost every year because of low back pain,6 with total costs estimated to be US$ 100 to 200 billion a year. Back pain is the second most common reason for visits to the doctor’s office. Thanks to its platform’s range of motion variations and its handles with built-in force sensors, HUBER 360® EVOLUTION helps fragile backs to regain strength and flexibility. First, a through assessment is carried out on the machine. This assessment detects posture problems that cause imbalances and poor compensation, thus shifting the center of gravity. HUBER 360® EVOLUTION strengthens both superficial and core muscles that essential to maintain good posture. At the same time, it improves flexibility to restore mobility to the spine. 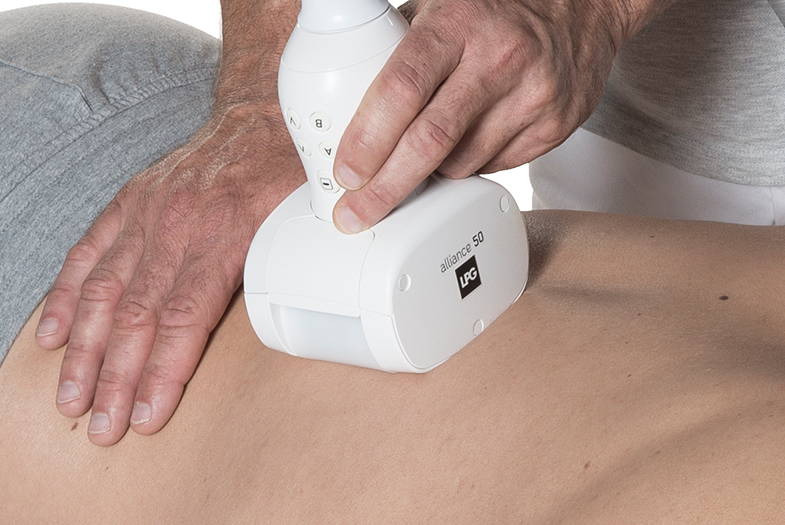 In addition to HUBER® 360 EVOLUTION exercises, the medical endermologie® technique (performed by a trained professional) mobilizes tissues and stimulates circulatory exchanges to relieve tensions and reduce stiffness. This pleasant and natural treatment restores joint mobility while significantly reducing pain. I’ve had very serious back problems for the past 15 years. In 2000, I was severely incapacitated with a herniated disk and a discopathy; I stayed in bed for 6 months. I was taking a lot of painkillers, around 6 pills per day. In desperation, I went to Henri Mondor Hospital on a friend’s recommendation. In October, I started HUBER® sessions twice a week, and hang on to your hats, I haven’t been on any medication since December. The doctor had me move in ways I had never been able to do before because I was so stiff. I’m doing much better thanks to HUBER®. It has changed my day-to-day life! I no longer take medication and I no longer have trouble getting up. I’ve returned to an almost normal life. Since I started using HUBER®, I’ve regained ankle mobility. I used to put all my weight on my big toe when I walked. Now, I’ve recovered the ability to bear weight on all my toes. I can feel the ground. These sessions were recommended to me by my pain-treatment center. 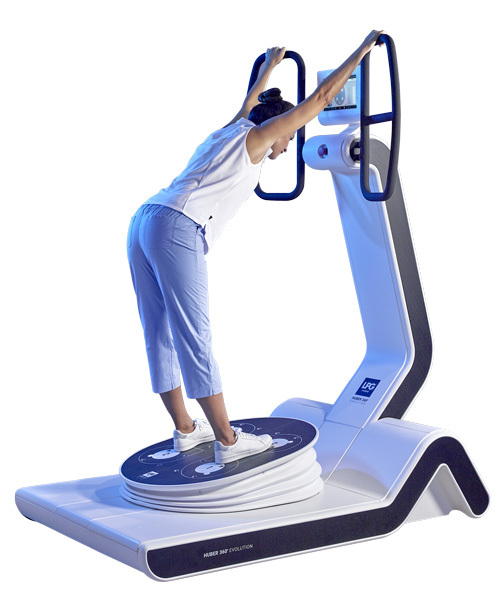 I recommend HUBER® to anyone who suffers from a serious pathological condition because it’s a great machine. You rediscover feelings that you had previously lost.